Busan, 11 July 2018 – Philippine Ambassador to Korea, His Excellency Raul S. Hernandez, was the guest speaker at the opening ceremony of the ASEAN Culture House’s (ACH) “Colors of Asia, Revisited, The Case of ASEAN and Korea,” a special exhibition in celebration of the First Anniversary of AHC’s Opening. In his remarks, Ambassador Hernandez declared that the exhibit will show how different cultures, when meshed together, can turn into something beautiful and remarkable. He added that culture can teach us that there is harmony in diversity. Renee Salud’s haute couture creations made of fabrics donated by ASEAN countries and the Republic of Korea, and Lee Jean Youn’s designs reinterpreting the beauty and sentiments of Korean traditions with a contemporary touch, both contribute to the broadening of cultural horizons beyond costumes. The public will be able to view “Colors of Asia, Revisited -The Case of ASEAN and Korea” from 11 July 2018 to 2 September 2018. 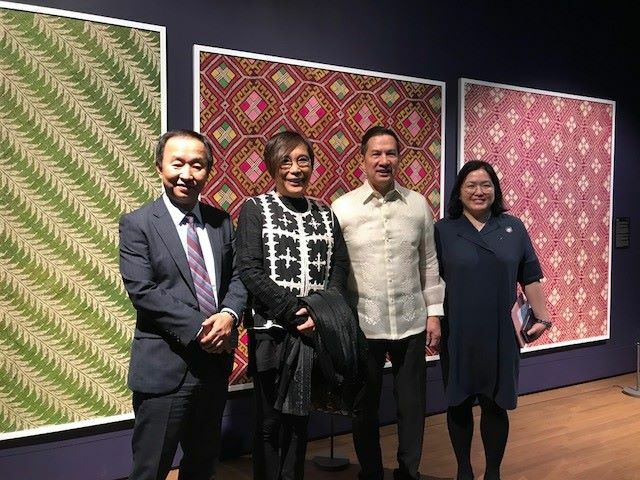 The exhibit is hosted by the Korea Foundation and ASEAN Culture House in collaboration with the Philippine Department of Foreign Affairs, the Korean Ministry of Foreign Affairs, the National Commission for Culture and the Arts (NCCA) and the Philippine Embassy in Korea.